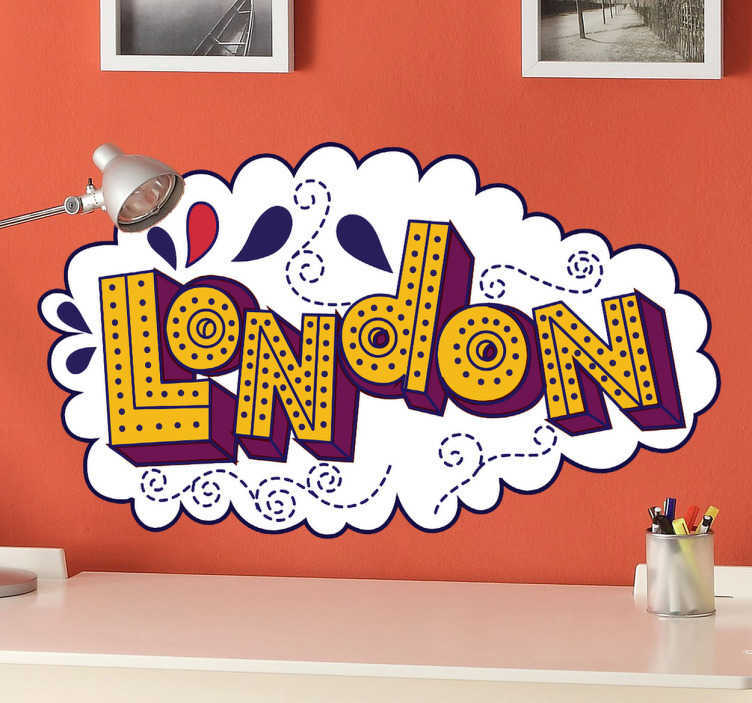 Decals - Comic style illustration of "London". Fun, vibrant and playful design to decorate your home or business. Also suitable for personalising devices and appliances. Available in various sizes.